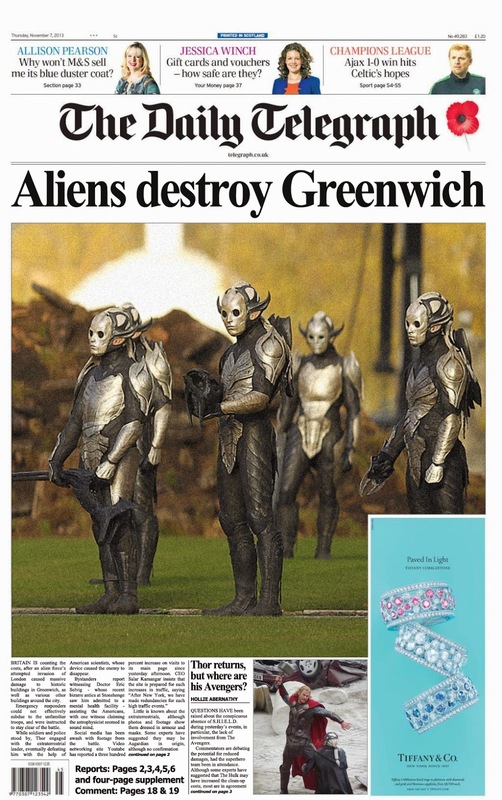 Honestly, I wouldn't have thought it was possible for anyone to forget a giant alien ship appearing in the Thames, smashing its way into the centre square of the Academy, and then Thor doing his thing. I mean, it was ALL OVER social media thanks to all the civilians around. But at the College, that seems to be exactly what they've done. See? You'd never know anything had happened. Where there are ongoing discussions in New York about the best way to memorialise the Battle of New York and those who died, in London it seems like it's going to be a case of out of sight, out of mind. Maybe it's because Greenwich is a World Heritage Listed site and they're trying to maintain its historical integrity, but it DOES seem a little weird to have nothing there referencing last year's events. I'm trying to find a decent copy of the article that goes with this New York cover, because of reasons. Most of which involve the fact that the entire article mentions Tony Stark a grand total of once. Vaguely and in passing. A majority of the piece talks about Potts' life before Stark Industries, her philanthropic ventures, and the usual interview fodder of what she does when she's not running a Fortune 500. It's a great piece, and it's so refreshing to see the media finally portraying her as her own person. I had to read it online thanks to being in a country where you can't get New York mag, but if anyone has a copy handy I would LOVE it if you could link me. A couple of years ago US Weekly printed this article featuring Black Widow and her 'obscene' gesture (hey, let's be honest, most of us see or do worse on a daily basis). This week, a decision was finally handed down in the case brought to the courts by various complainants to the print media's regulatory body. After more than two years of bureaucracy and hand waving, the magazine walked away without a scratch. Who knows how much it cost to make this decision, but it appears to have been mostly made on the basis that the finger should no longer be considered obscene due to the lack of repercussions for civilians, should they use it in public. What does this mean for celebrities who use it as a way to ensure paparazzo images cannot be sold for profit? This article is a prime example of conjecture and hyperbole being used to sell magazines, particularly considering almost all of the information on the page has (unsurprisingly) proven to be almost entirely untrue. How do you feel about the use of perceived obscenity in the media? Should we aim to keep our magazines largely innocent, or is the acceptance of over the top attention grabbing headlines more of an issue? The Economist: Too far with the Photoshopping? 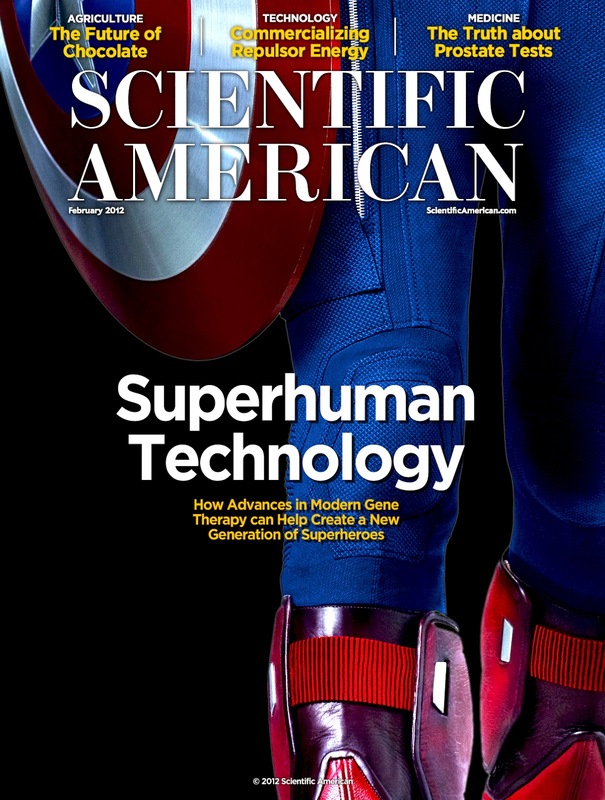 The suggestion that Captain America could possibly be aligned with the sleeper agency that took down a global intelligence network is clearly a hard pill to swallow, particularly for the US. When you read the article and understand the angle that the magazine is taking in analyzing the global environment, it's easy to reach the conclusion that this particular Photoshop job was aimed primarily at selling issues. The implication is that the recently revealed HYDRA was ultimately using a national hero as a sockpuppet is an interesting one. Yes, this image is disturbing, but really can we be sure Captain America is one of the good guys? Well I'm pretty sure he is, and the senate hearings and inquiries into the information dump orchestrated by Black Widow Natalia Romanova seem to confirm this theory, but before the chain of events set in motion by the metal armed Russian agent began, were The Avengers really doing the bidding of HYDRA? 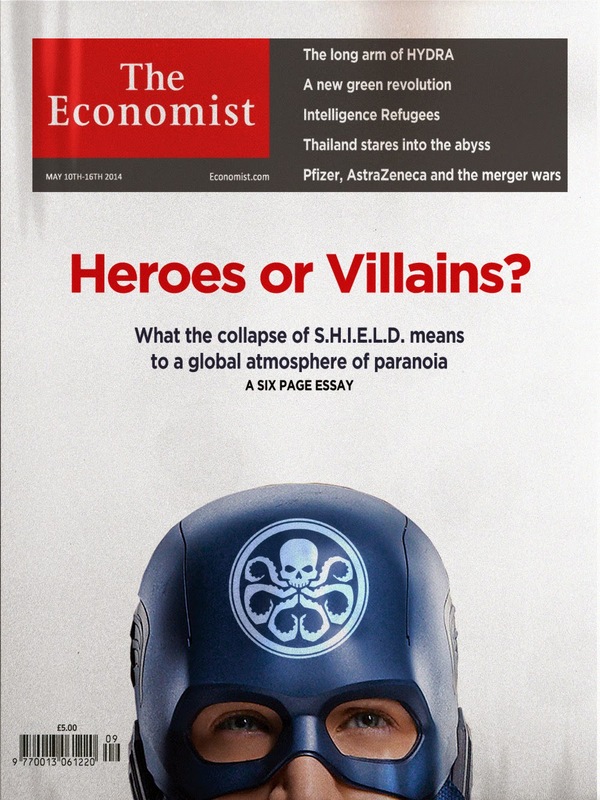 SHIELD's collapse seems to have created an opportunity for Tony Stark and co. to privatize global security via their newly trademarked Avengers brand, and I'm not sure many commentators are keen to see how this kind of superhero security will pan out in the long run. Is private protection less susceptible to corruption, or are we better with government agencies protecting us against this new generation of galactic and pan-dimensional threats? The media is weird, you guys. A month before this delightful cover story, our good old friends at Star were saying that Pepper Potts and Tony Stark were expecting a baby. Presumably this accounts for In Touch's use of the word "clucky", but certainly not for the rest of it. Reading between the lines, Tony Stark and James Rhodes (aka the Air Force's Iron Patriot) have been hanging out a bit more than usual recently. I imagine it happens from time to time when you're busy saving the planet. And somehow, they jumped from that to "EVERYONE'S GAY OMG". Excuse me while I headdesk repeatedly. Because really? If any of these people are gay? 2. It's entirely up to them if and when they come out.